Three days in Amsterdam is the perfect amount of time to discover the city – a weekend break just a (very) short flight from London, and there’s so much to see and do, as this guide proves! We walked for hours, stumbling across boutique shops, cosy cafes and unusual restaurants, as well as fitting in the odd tourist hotspot! Amsterdam will probably always have a certain reputation, but as we discovered, there’s so much more to the city than pub crawls and the Red Light District! If you’re heading to Amsterdam any time soon, make sure to note down a few of these places, and don’t forget to pack some comfy shoes, as it’s possible to explore the whole city by foot! A recommendation from a friend who lives in Amsterdam, Coffee & Coconuts is set in a 20s cinema, and has a warm, buzzing atmosphere that you’d expect to find in a cool Shoreditch hangout. We stopped by for breakfast, both opting for the full CT breakfast including their famous coconut pancakes. Be sure to try their juices, and go for one of the farmhouse tables at the back if you plan on ‘gramming your food! So, I failed slightly on the photography front due to the darkness in the restaurant, but The Lobby was our favourite restaurant by far out of the three that we tried in the evenings, we both chose from the set menu, three courses for under €35, including experimental dishes such as Spinach Panacotta and Banana creme brûlée. Highly recommend! Another breakfast spot which came highly recommended from an Amsterdam local, Bakers & Roasters is a New Zealand style cafe in the very cool De Pijp neighbourhood in Amsterdam. With an open kitchen serving up all of your favourite classic brunch dishes, B&R is also known amongst locals as the best coffee in ‘The Dam. If coffee isn’t your thing then their juices are also incredible, and I also need to try their old school milkshakes! There’s a cheese shop around every corner you turn, and very little between them. Charlie and I particularly loved the Amsterdam Cheese Company though as everything was beautifully presented, and there were even little samples of cheese and preservatives to nibble on to help you decide on your favourites! Charlie and I both loved We Are Labels! An edgy cool Anthropologie meets The Kooples type store, with a few locations across the city. We walked away with some autumnal jumpers and shirts for Charlie, as well as some Aesop-esque hand wash and body lotions! Ok, so Charlie had to persuade me to come along to the Heineken Experience with him, but in the end, I am SO glad I did! I wasn’t expecting such an interactive and beautiful (have you seen all of the copper?!) experience – I’d highly recommend a visit, even if beer isn’t your thing. 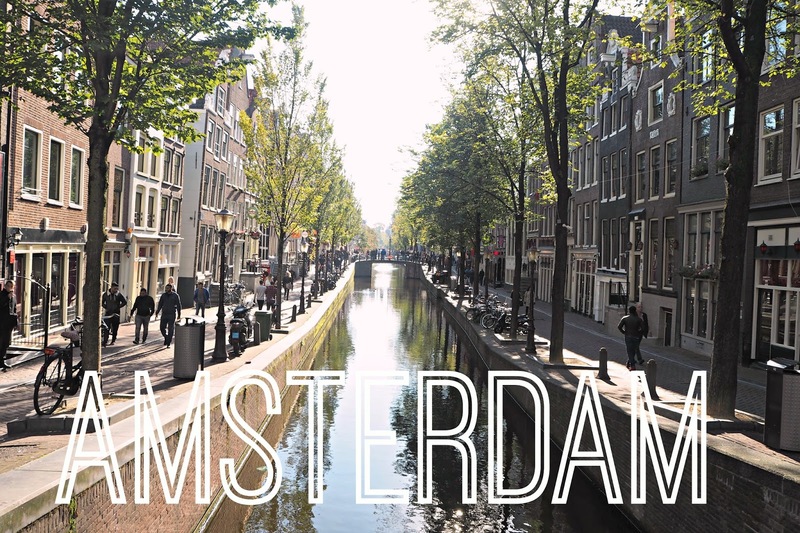 I’d love to know if you have any personal recommendations or places to try in Amsterdam! Let me know in the comments so that this post can be as useful as possible to other readers heading to the city! Thank you to icelolly.com for the flights & hotel!